The second novel of the Magisterium reminded me, for some reason, of the second-to-last Harry Potter movie. Maybe it was the whole running-away-from-magic-school bit. It’s meant to be Call’s second year at the Magisterium. He runs away from home, because he thinks his father is planning to do something terrible. 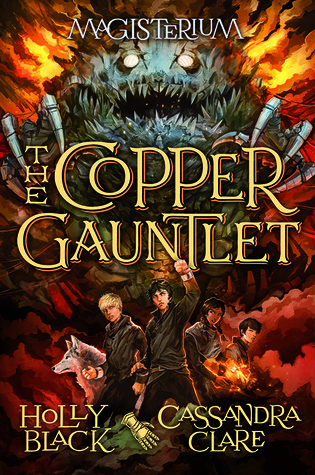 Then he runs away from the Magisterium to find his father – whom he now believes has stolen an artefact called the Copper Gauntlet, rumoured to do horrible things to chaos mages. But it somehow didn’t quite work for me, and I find myself struggling to remember what happened when, and why. This series is polarising people; some love it, some hate it… Me, I’m somewhere in between. There are cookery books that remain in the kitchen, or on the shelf nearby; and then there are books about cookery that go to the bedroom to be read from cover to cover. This is one of the latter, a book about food that is a joy to read. 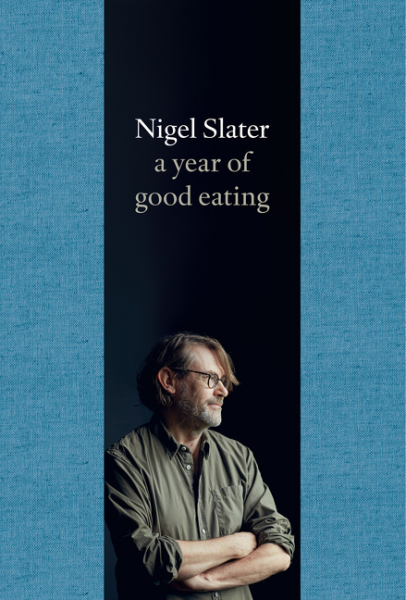 Nigel Slater is a great cook, and he’s also a great writer. His prose is a delight, and if you want something to read after a hard day, and just relax into the flow of well-chosen words, this may well be a book for you. It may also be a book for you if you want interesting and innovative recipes for real food that you might actually want to try. There is even a recipe for Bacon Granola! I have got to try that, once I figure out what to substitute for hemp seeds – which are, as far as I can tell, illegal in New Zealand (and yes, that really is the first time that issue has arisen in my kitchen). I did try the Maple Pork Ribs with Tomato Chutney and they were pronounced delicious! The structure of the book is essentially a food diary, from January to December. It’s written in the present tense, which normally annoys me, but works here, perhaps because it’s common in cookery writing. More problematic is that the seasons are reversed for antipodean readers, which means the summery recipes are in the middle, and the Christmas recipes are decidedly wintery. But I can live with that for the sheer delight in food that is found on every page. While this is not a book for a beginning cook, the recipes are not too challenging, flexible, and easy to follow. And there is an excellent index, which is a fine thing in a cookery book. I’m going to enjoy some experimentation in my kitchen with this book to hand.